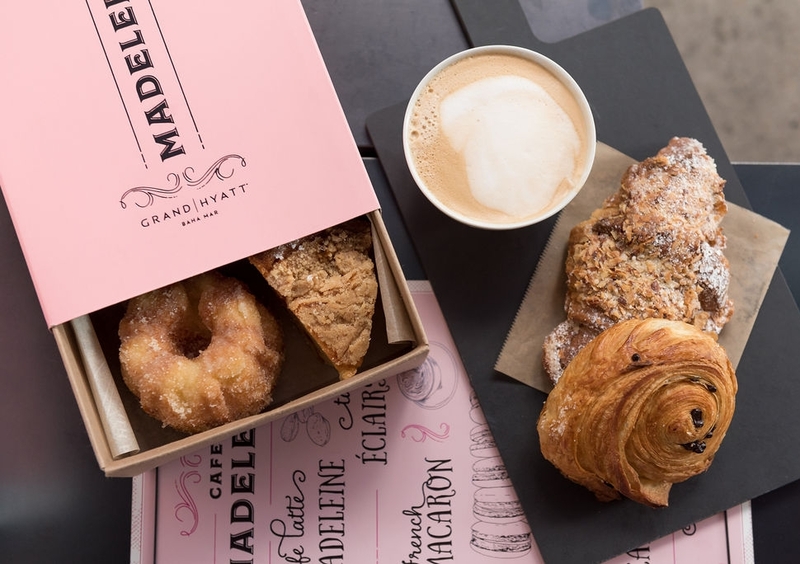 What more could a design gal want than to design packaging that works with both French pastry and screams pink! 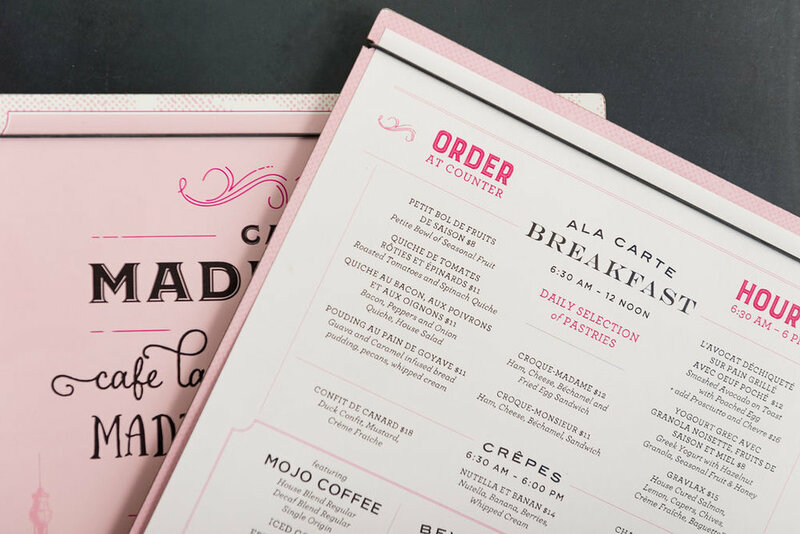 Cafe Madeline is one of twenty-six restaurants we helped launch for Grand Hyatt Baha Mar. 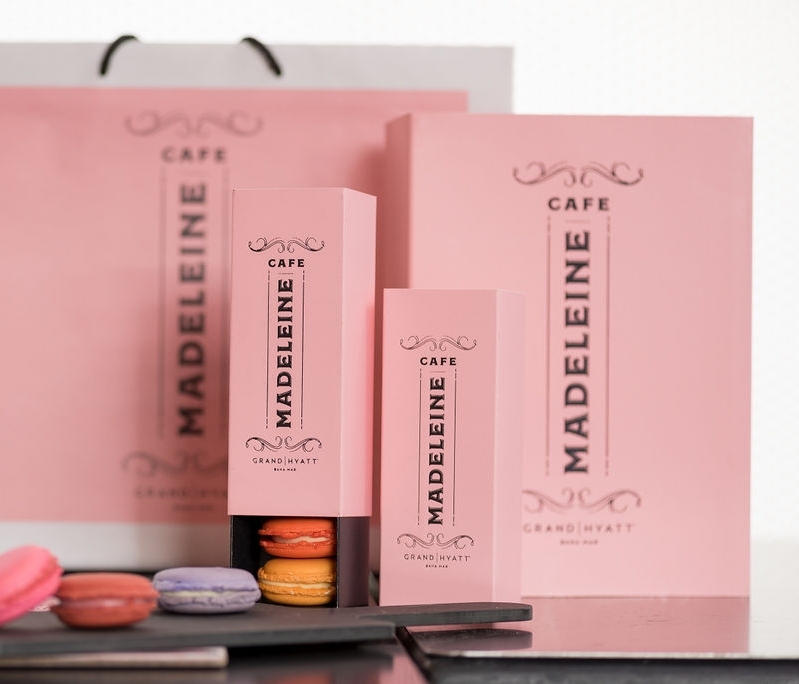 With a focus on French pastry, we helped Cafe Madeline produce macaron boxes, pastry boxes, cake boxes, menus, signage and more, resulting in one of their most Instagramed outlets.